In 1988, we took a 5-month tour of the United States traveling in our Volkswagen Golf. While in Iowa City, we found a black, well-worn, ankle-high shoe that became our “mascot.” We seem to find odd things whenever we travel. Here is a list of things we’ve found so far. If you think something might be yours, contact us and identify the item and we’ll send it back to you – unless Bigfoot objects. Rook chess piece. This is our new mascot – for now. It’s small, and in medieval shantranj, the rook symbolized the chariot, so it seems apropos that it guides us along the trail. Uniden Model #GMR2889 walkie-talkie, seems to work but no one is answering. Smith & Wesson hunting knife that we hope to keep. Pink thongs (we left it there, there’s only so much cleaning up we can do, right? 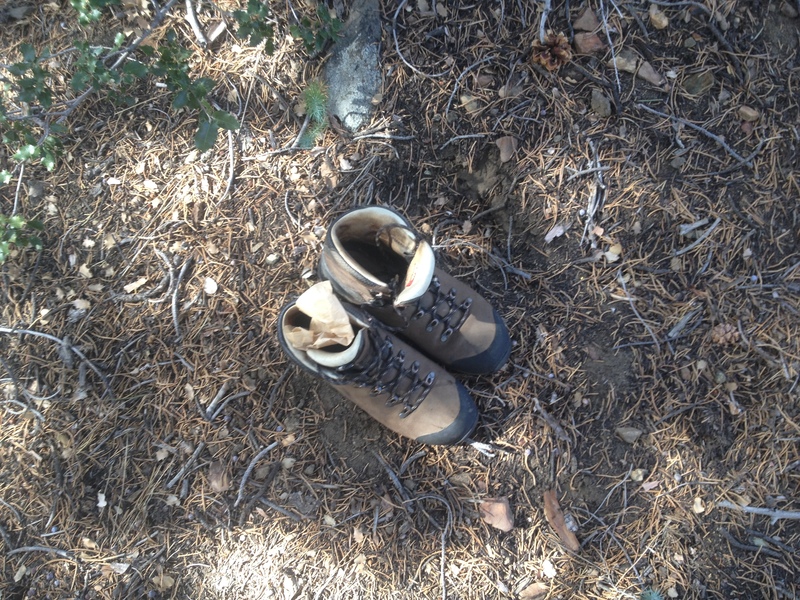 We will periodically update this page as we continue finding new treasures left behind along the Pacific Crest Trail. An interesting array of treasures!